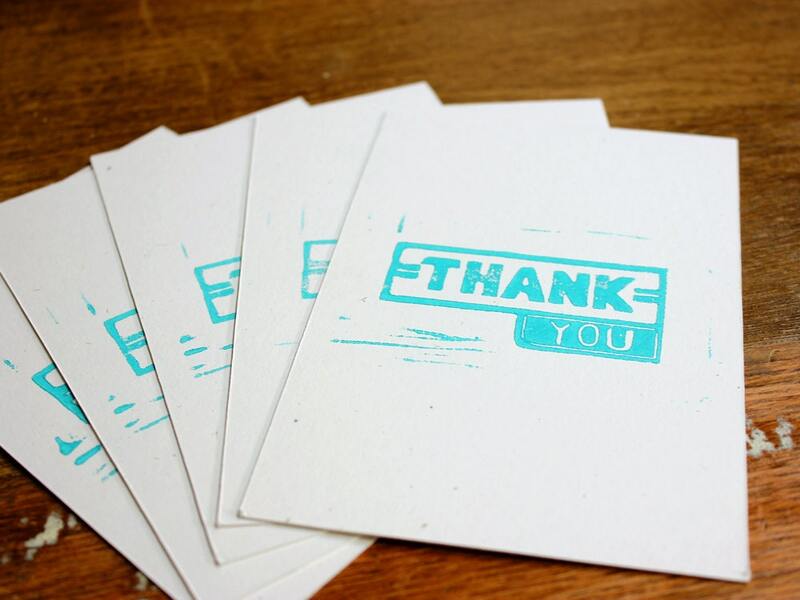 4x6" Thank You notecards (postcard style) with envelopes – available in packs of 5. 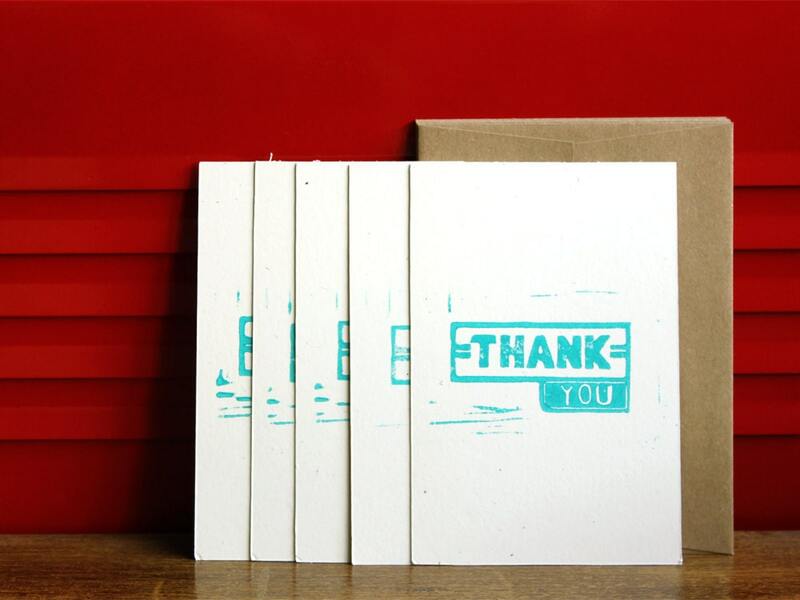 Retro style notecards are hand-printed single-process linoleum block prints in teal on 140 lb. Muscletone cover stock from French Paper Co. Block is hand carved. Each print is individually pressed by hand and will contain some unique imperfections. This is also available in teal, blue, black or orange and can be printed upon request.